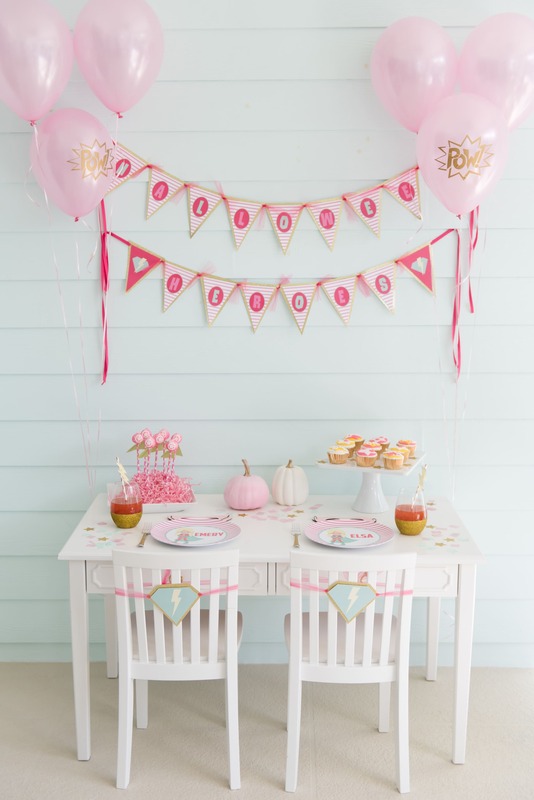 Beth and Danielle started with a simple white kids table (I have a similar one for Blakely that I love). 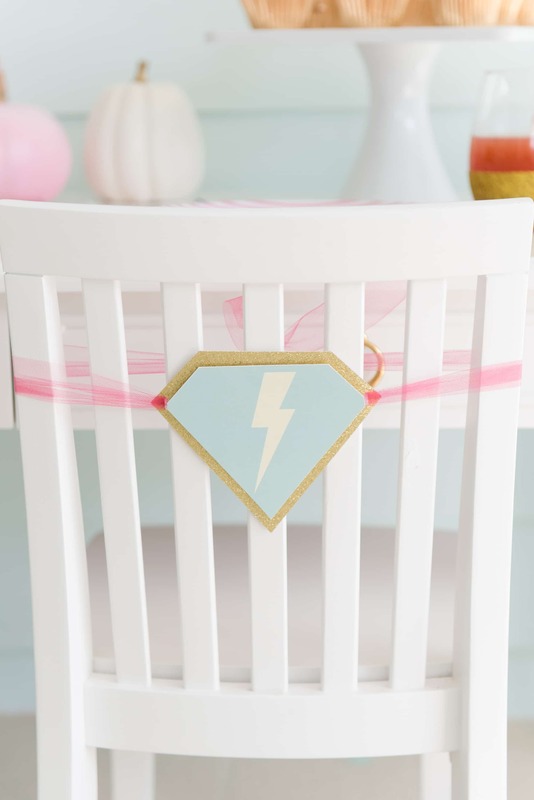 Then they added in personalized superhero plates, a fun banner, and chair decor with lightning bolts! How cute? 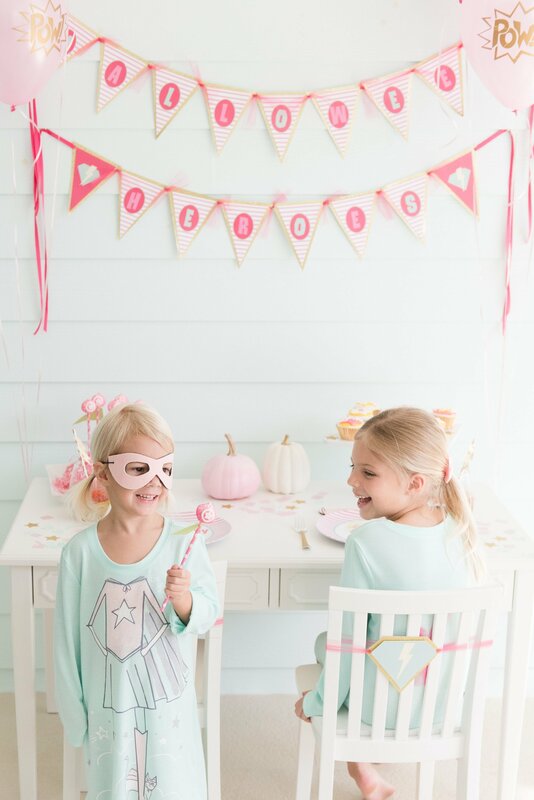 This is the perfect non-scary Halloween party! 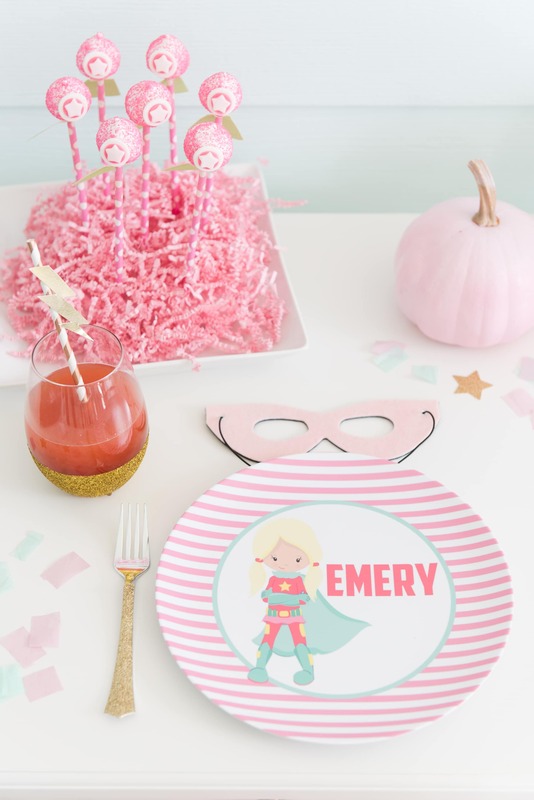 For the place settings, gold utensils, glitter cups, striped paper straws, and sprinkled pink and mint paper confetti jazzed up the table! 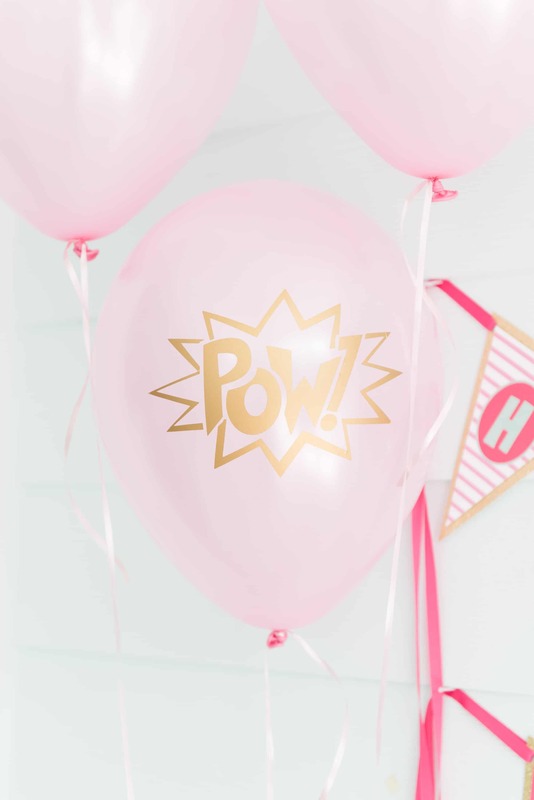 The adorable POW balloon decals took plain balloons to a whole new level! 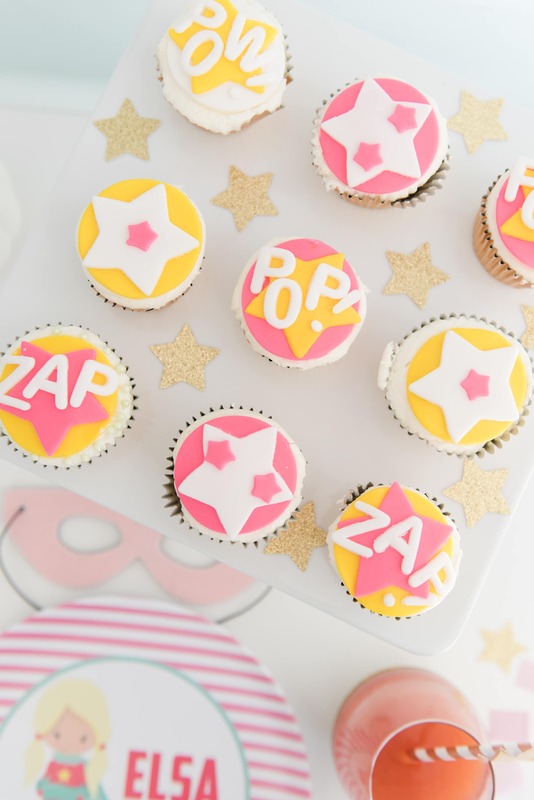 They’re a simple custom decoration that gives the party a festive touch that the kids loved! 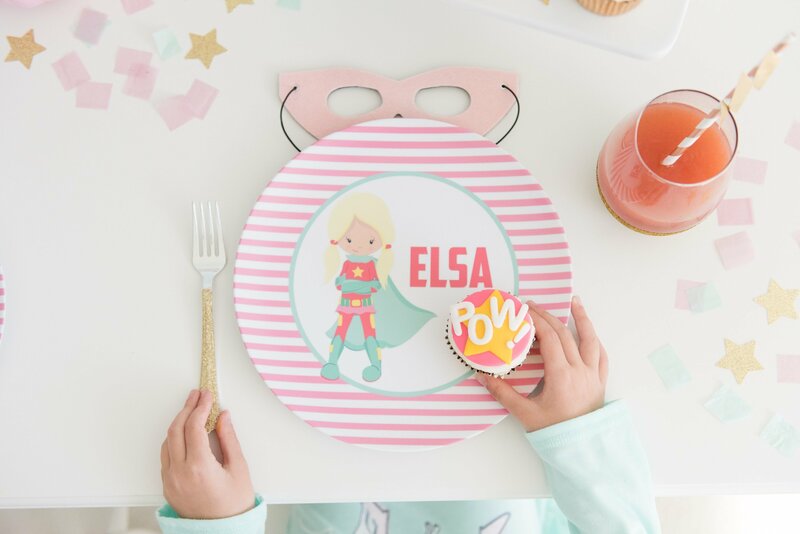 Beth told us that the kids had an absolute blast which is definitely understandable with this adorable party! 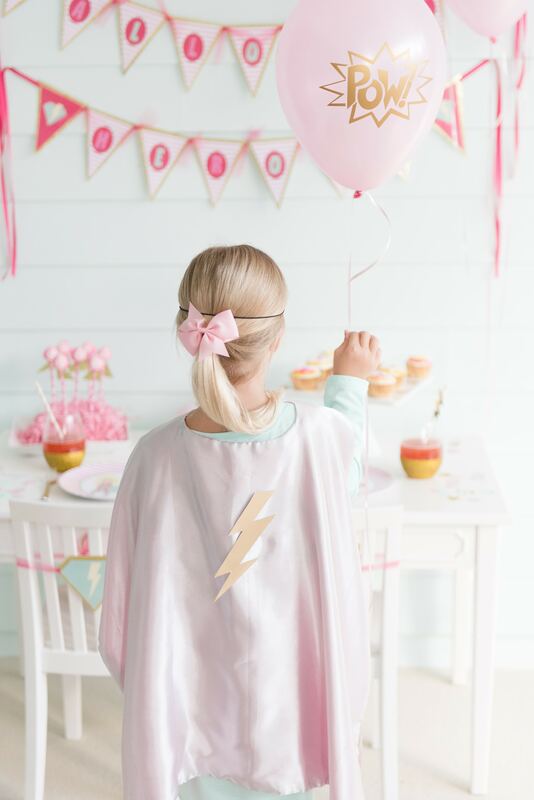 They enjoyed cake pops with capes (aka CAPE POPS), and pop/pow/zap cupcakes in pink and yellow! 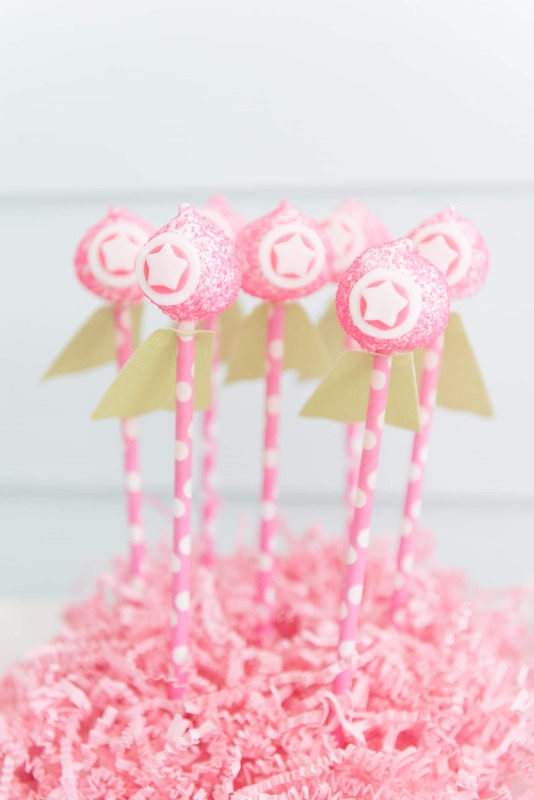 How adorable are these treats? 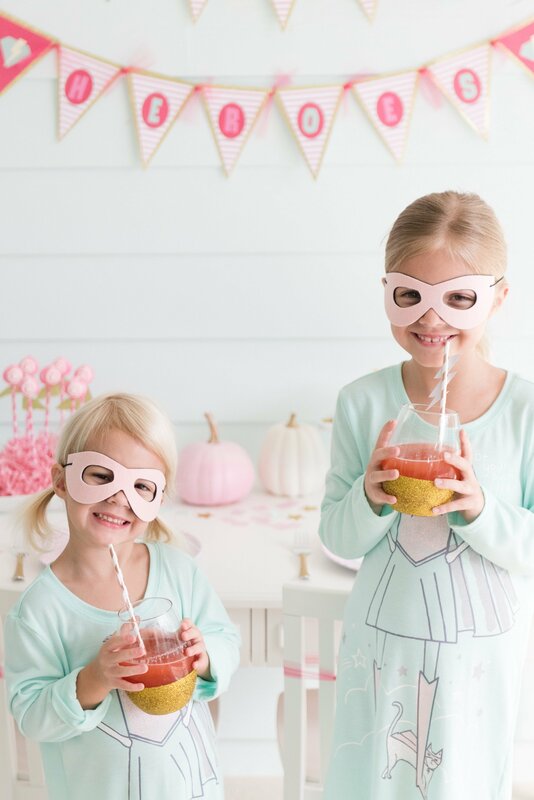 No doubt any little ones would love this Halloween Heroes shindig! 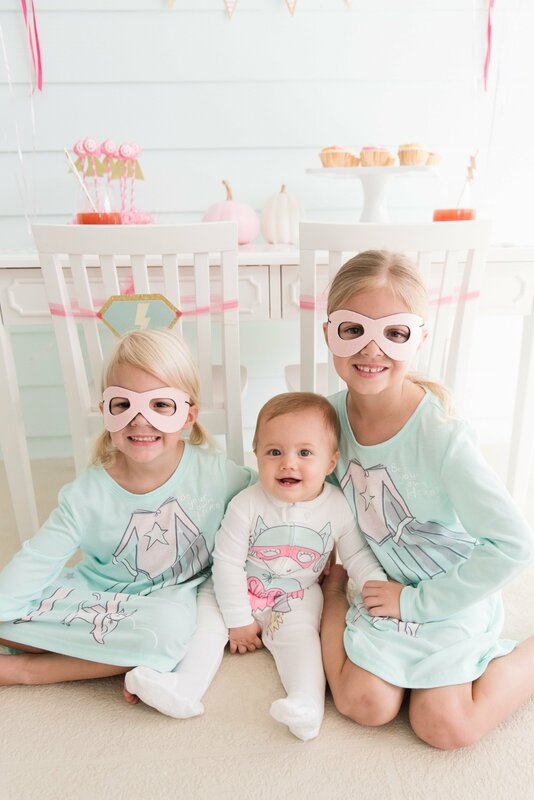 Thanks to Palm Beach Lately for letting us share this darling Halloween Heroes party, photographed by Shea Christine Photography! See more over on their site here! My New Home Office Reveal!